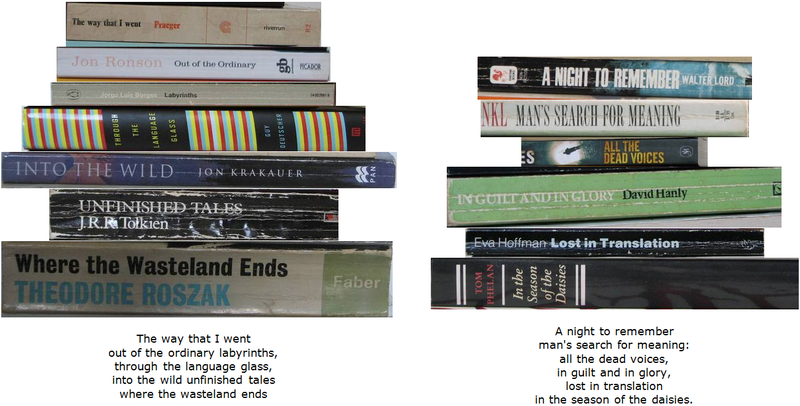 Covering news about Curiosity, Olympics, lounge chairs, bookmashes, and miscellaneous links. The big news this week, of course, is that the Mars Curiosity Rover has landed safely on Mars. In my timezone this happened at 3:00pm — I was at work, watching events unfold via Twitter and via the NASA live feed (on mute) in between working on some project. Meanwhile, a meeting was going on in the room, and when the boss asked if there was anything else to discuss, I said that history had just been made. Here’s a photo of the landing site as seen from above, showing how widely the parachute, sky crane, etc, are distributed, and here’s a video that puts it in context. High-resolution photos from the rover itself will begin to appear in a few days, once it has its mast up and ready. If you want more, the Curiosity Twitter stream is a good place to look. 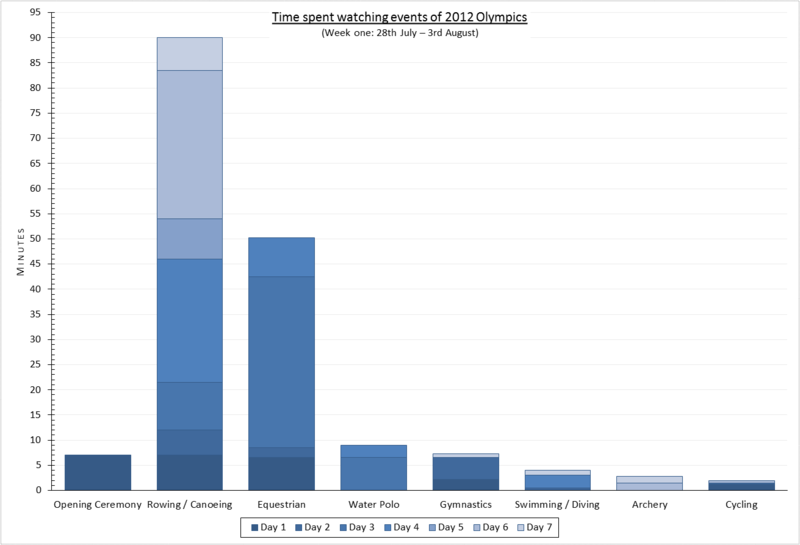 Here is a graph showing how much of the Olympics I watched in the first week. Days here are Australian days, not British ones. There are two important factors: how much I was interested in a given event, and how much of it the Australian broadcaster actually showed. For example, they showed lots of cycling and swimming, but I wasn’t very interested. On the other hand, they hardly showed any archery, but I watched it when they did. The events I watched the most of are the ones where lots was shown and I was interested. I’ve hardly watched any Olympics at all in the second week. Saw Mum and Dad for a day in late July. Dad arrived in the morning, and helped me replace a leaking kitchen tap, a job that had needed doing for some time. Then we went down to the furniture shops on Marion Road to choose and order new lounge chairs for my living room (Mum and I had browsed there about a month previously, so I’d had time to think about it). Later we went to Marion Shopping Centre and met up with Mum, followed by more shopping/browsing/socialising together. As for the lounge chairs I ordered, the style is called Berlin and the colour/fabric is called Peacock (which is actually greener than the online swatch). Estimated wait time is twelve weeks, so around October 19th. Here is a picture from 2008 of my current lounge chairs, the ones that will be replaced. In the recent Earth as Art competition, the five images I voted for are [*****]. That doesn’t mean those are my favourites, only that they’re the ones I was drawn to on the particular day that I voted. It’s so subjective that each of my clones would have voted differently. The mirrorbox is fascinating in an “I want to try it!” kind of way. I felt the video could have been edited better, but do watch at least the first five minutes. On the intelligence that gorillas need to dismantle a trap. History of sexism in the space program. Related, an article in which a man and a woman talk about feminism, which struck me as a good starting point for discussion. Read this and be grateful your mother wasn’t so inventively cruel! And to finish with, some photographs: a dramatic volcano scene and a cute cat+dog. I’ll be visiting my parents this weekend and seeing the latest annual town musical that they’re in. So I’ll have even more news soon.